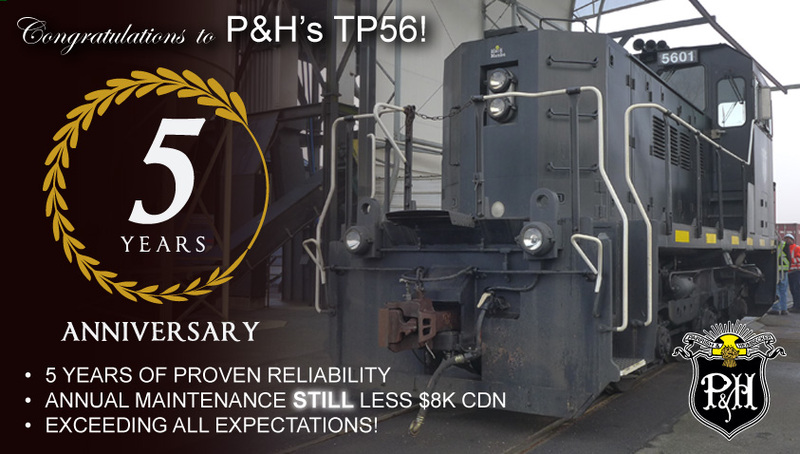 We are proud to announce P&H’s TP56 Switcher has been in use for 5 years now. The switcher has provided P&H with minimal maintenance and low cost of annual maintenance. We hope to celebrate another 25 years with the same designed reliability as the first 5 years! Congratulations P&H!